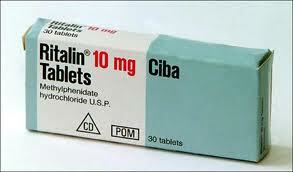 Will Ritalin Become the Human Growth Hormone of Sports Concussion Testing? Here’s a story you may be hearing a lot more about in six months or six years: National Football Leaguers – followed by college, high school, and youth league football players – soon will be gaming corrupt Pittsburgh Steelers/World Wrestling Entertainment doctor Joseph Maroon’s “ImPACT” concussion management software system by taking the amphetamine-family drug Ritalin before being retested to assess their recovery from head injuries. With the assistance of a doc with a promiscuous prescription pad – if not simply a friendly pharmacist who doesn’t need to get too rigorous about the whole script thing – a player who “got his bell rung” can ease the process of identifying whether the diagnostician in front of him is holding up three fingers or four. Which, in more technologically sophisticated form, basically describes the ImPACT program that Maroon and University of Pittsburgh Medical Center colleagues have successfully pushed on the sports establishment – aided by authoritative-sounding articles in journals such as Neurosurgery. Yet somehow this same class of esteemed researchers went 74 years between the 1928 discovery of dementia pugilistica (“punch drunk syndrome” in boxers) and that of chronic traumatic encephalopathy in athletes in other contact sports. It took a Nigerian-born forensic pathologist, Dr. Bennet Omalu, to come across the latter almost inadvertently in autopsies of retired Steeler Mike Webster and others. Since Omalu wasn’t well-connected or sufficiently coached in how far he was supposed to go in his scientific conclusions, his follow-up articles on CTE got unofficially blacklisted from Neurosurgery until very recently. Meanwhile, Dr. Maroon – pillar of the community, 70-year-old ironman competitor, supplement huckster – forges on. Two weeks ago he advised World Wrestling Entertainment star Edge that he should retire because of a damaged neck, eight years after WWE paid for the wrestler’s cervical fusion surgery. Last year non-star wrestler Charlie Haas had been advised by his own doctor to consider the same operation. But Maroon, according to Haas, then said naw, it was just a “stinger” (the broken neck’s analogy to a “rung bell”), and WWE quickly released Haas. These are all “independent contractors,” you see. The problem with ImPACT is that it was overhyped as a solution, at the expense of attention that should have been paid to more central considerations: prevention and unbiased, uncommercialized basic research. The result, I fear, is that medical paraprofessionals like this trainer, and all of amateur sports in America, will find themselves in the same pickle with concussions that we already face with steroid abuse. (That’s assuming there is any more such a thing as an amateur sport – which anyone who last week viewed the PBS Frontline documentary on high school football might be led to question.) In recent decades, elaborate specialized cat-and-mouse protocols were set up to test athletes’ urine, but the most ambitious and resourceful among them simply moved on to human growth hormone, which doesn’t show up in their pee-pee. Ritalin potentially is the HGH of concussion testing. I didn’t expect ever to find myself typing the words “I feel for Roger Goodell,” but the NFL commissioner has a point when he jawbones for HGH blood testing during collective bargaining with the players association. Now, in order to demonstrate responsibility for the health of its athletes and, more importantly, the overall gross national mental health, the league will have to do more than cite the very limited ImPACT system, along with the very limited and inaccurately targeted $20 million in research the league has spent – mostly to bolster the clinical-corporate yes men epitomized by Joseph Maroon. Irvin Muchnick (http://muchnick.net; http://wrestlingbabylon.wordpress.com; http://twitter.com/irvmuch) is author of CHRIS & NANCY: The True Story of the Benoit Murder-Suicide and Pro Wrestling’s Cocktail of Death.